The rates of cesarean section have significantly increased worldwide over the past three decades. The choice of anesthetic depends on a number of factors: maternal, fetal, surgical, and anesthetic. Neuraxial techniques are the preferred method of anesthesia reducing morbidity and mortality for parturients and allowing maternal bonding with the neonate postoperatively. Spinal anesthesia is technically simple to perform producing a rapid onset and dense block with a predictable offset. 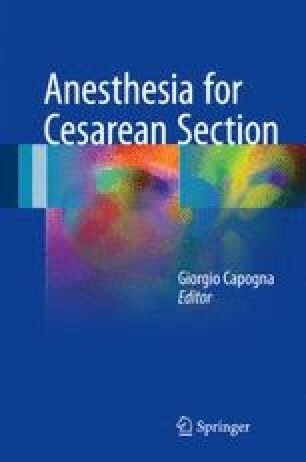 In this chapter, we will review the advantages and disadvantages of spinal anesthesia, the evidence behind the technique itself and the commonly used medications.